$240. 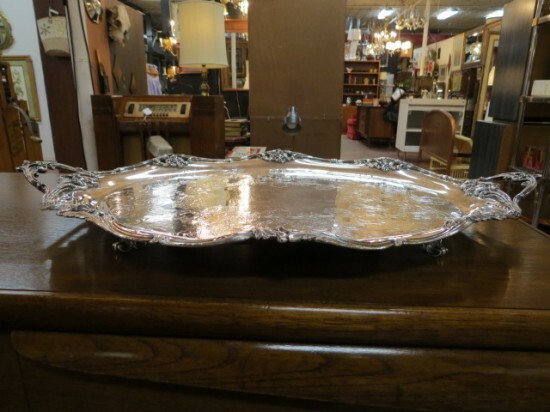 Vintage antique large oval silver plate footed tray. Curved edges with leaf designs and etched center design. Unmarked. A beautiful tray, perfect for holding all sorts of items in your kitchen, living room or dining room. Excellent condition. 27in wide, 19in deep, 2in tall.